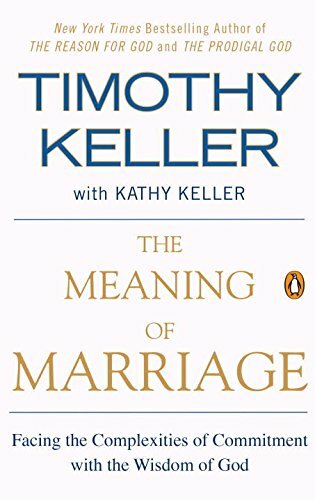 Have you ever thought about why we are willing to invest so much time, energy and money into higher education in hopes of positioning ourselves for a stable career and a secure financial future, yet we neglect to truly prepare a foundation much more meaningful: MARRIAGE? Since I was about 18-years-old, I’ve been fascinated with the beauty of marriage. It may sound strange, but over the past 10 years, I’ve been investing in the “higher” education of marriage. I’ve read many books on marriage in preparation for the most glorious gift I believe God gives us this side of Heaven. My hope is to understand God’s heart so intimately in regard to marriage that I will be equipped to glorify Him when He presents me to my future husband. I want to honor God first and foremost and ensure that I am posturing my heart to best carry out His will. I pray that when He unites my soul with the one He has created me for, together we can be godly example-setters in our circles of influence–most importantly our family. Marriage, according to God’s perfect plan, is a life-long covenant between two souls that He chooses. As we covered in "The Why & How of Adam & Eve" God shows us that He is the Author of Love and the Divine Orchestrator who unites two souls together in His perfect timing to be a real-life example of His love for us. Marriage is God’s idea, it is not some man-made idea for companionship, and it’s not a contract with clauses and bylaws. It's a covenant. An irrevocable promise in His sight. How would our society be different if we placed more emphasis on teaching and understanding what marriage is all about from an early age? Some may propose that marriage should be regarded according to our own personal experiences and what we observe. I think we can agree that we most definitely learn the most about marriage from our families. However if we look at the divorce rate and the increase of blended homes, it gets confusing. We may be learning more about what NOT to do than given positive examples to emulate. Take caution not to hear what I'm NOT saying. This message is not to cast shame on those who are divorced. My own mother and father divorced and it's never been a wonder why. God can make beauty out of ashes, this I testify. I've been blessed with a wonderful stepdad who has loved me since my earliest memory. I have 3 parents who all add their unique value and guidance to my life. Remember, we can’t fall “victim” to our own choices and then blame it on our lack of understanding. Worse yet, we can’t blame our upbringing or the negative and dysfunctional marriages we may have observed. That’s simply foolish because, as we concluded in “Evaluating Godly Standards for Love,” we must hold ourselves responsible for walking out God’s will and keeping our hearts and minds surrendered to His plan and not be sponges of the world absorbing all of it’s muck. What if we continued to study marriage throughout our lives? Wouldn’t it be worth the investment? Perhaps it would prevent unions outside God’s will which, in turn, would decrease the rate of divorce? What marriage resources do you recommend? I hope you are as excited and expectant as I am for all that God has in store for 2018! Upon reflection of where I've been, where I am and where I'm going, I came across an old blog post I wrote 4 years ago that I felt I needed to share with someone today. I have a strong sense that there is a lovely soul out there that is recovering from the wounding of a heartbreak that could benefit from reading this message. As I sat in the sauna (aka my "Prayer Box") at the gym one evening deeply focused in prayer, the stirring in my soul stopped completely which enabled me to hear the clear whisper of God's voice! I have still been wrestling with Him to find the answers to the questions, "Why did we break up? Why can't he see the errors of his thinking? Why is he lying to himself and others? Why doesn't he want me like he said he did?" 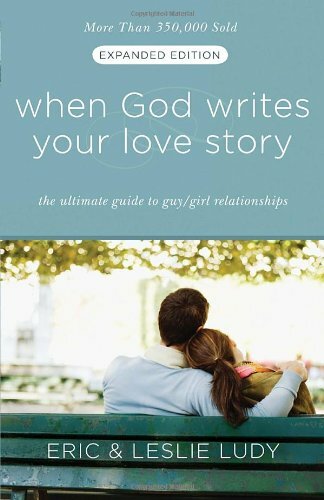 God: "Heather, why can't you see that it's BECAUSE I love you that I have removed him from your life? Don't you remember praying to me and asking me to intervene if the relationship was against my will? I tried telling you many times. You didn't want to listen. But I was still there, loving you right through your disobedience. Heather, stop beating yourself up. Stop mourning the loss. Focus instead on MY will. I'm not upset with you for nagging me over this because I understand that you don't know what you DON'T know. You can't see what I have in store for you. But trust ME, I have heard your prayers. I know the desires in your heart. Believe in me and FOLLOW me and I will lead you to a greater blessing than you can even fathom. I'm working for ya, girl. I have my hand of protection over you and will continue to intervene in big ways if you begin to embark on a relationship that will harm you." Me: "But God, I loved him with my WHOLE heart." God: "That was exactly the problem. There was no room for Me anymore. You began to call him your 'anchor,' don't you remember? I am your TRUE anchor, Heather. Your relationship together was not honoring Me and you weren't leading each other to come to know Me better. He was a distraction, Heather...and you tried to play My role of God in his life. That wasn't your place." Me: "God, why does it seem like all the good in me is overlooked by so many? In fact, it seems as though (especially lately) that my good deeds that have the purest intentions are somehow completely flipped around on me and I'm under attack with harsh accusations and critical judgments? What the heck is up with that?!" God: "Like I said, I'm protecting you, Heather. The flaming arrows that you are experiencing will not harm you if you continue to turn your heart and mind toward me. The closer you get to me, the harder the enemy will try to deceive you and hunt you down. He's going to use people in your life that are far from Me to try to pull you down with them. TRUST in Me. Place your identity in ME, stop being so concerned with what other people think and say about you. That's not your burden to bear. Let Me worry about them." I cannot even tell you how rested and peaceful I have felt ever since our talk in the sauna that night! Overflowing with gratitude for His love, grace and protection!!! The harsh life lessons that God allowed me to go through in 2013 such as hardship, loss, deceit, false friends, unmet hopes and brokenness are received and behind me. I come to you now as a conqueror and a warrior woman in training! God truly carried me through the darkest moments by shining His Heavenly light in my soul. Although I had chosen a sinfilled, windy road and am still experiencing some pains associated with living such a life, the reality is, God has chosen ME and has been faithful and loving and provided JUST the amount of strength I needed to get through to the next day! 2018 is going to be the best year YET! Believe it. Receive it. In Jesus' name! Hebrews 6:19, "We have this hope as an ANCHOR for the soul, firm and secure." As well as 1 Corinthians 13:13, "Three things will always remain: faith, hope and love. But the greatest of these is love." Are you in the process of heart-recovery from a breakup? Need someone to talk to and pray with? Please don't hesitate to send me a message as I'd be honored to walk you through this. Perhaps someone you know is in this battle right now...do them a favor and share this encouraging word with them! Don't Skip a Beat! Sign up for the Newsletter now! Are you willing to adopt the mindset of Christ whether you’re single, dating or in a marriage relationship? Are you willing to wait patiently as God continues to develop the fruits of the Spirit both in you and in your anointed life partner? 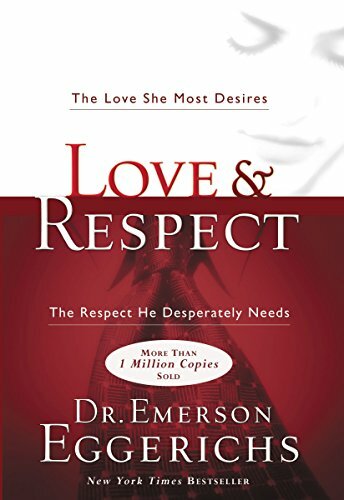 There are some amazing resources out there to help us understand men, women, and relationships. 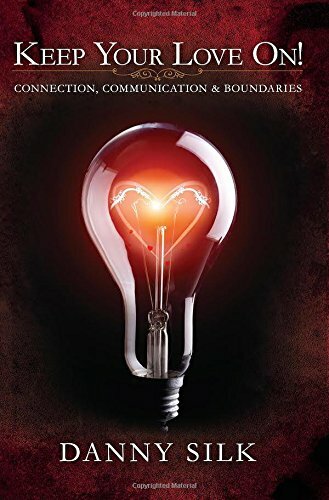 However, I have found the most helpful resource to really grasp the intention of God’s heart for relationships (and ultimately, marriage), is The Ultimate Life Guide–that is the Holy Bible. It is here that we begin to understand God's heart in creation. We can also see the intention of relationships through God’s Divine matchmaking abilities. This blog is Part 1 of the Relationship Series. Stay tuned each Monday for subsequent blogs. (Genesis 2:5-6) Now no shrub had yet appeared on the earth and no plant had yet sprung up, for the Lord God had not sent rain on the earth and there was no one to work the ground, but streams came up from the earth and watered the whole surface of the ground. (Genesis 2:7) THEN the Lord God formed a man from the dust of the ground and breathed into his nostrils the breath of life, and the man became a living being. Embracing the fact that Adam and Eve were created differently may disrupt our worldview that men and women were created equal. However, if we push past a possible disruptive feeling and seek to understand God’s intention behind the creation of the first man and woman we will open up to a greater level of understanding about the beautiful interdependence between male and female. Throughout Scripture we can see God’s beautiful love story unfold. Therefore, as men and women, we ought to trust that God is the Ultimate Matchmaker and surrender our hearts to His perfect plan and timing. Men: Do you trust that God loves you so much that He made (prepared, fashioned, appointed) a suitable helper for you? Women: Will you accept that God is developing you into the suitable helper for your (future) spouse? Will you trust that, in His perfect timing, God will place you in the path of your “Adam”? Whether you’re walking through the season of singleness, or you’re in a relationship and trying to navigate how to effectively do so in a God-glorifying way, I believe we can all turn to the Word of God and learn everything we need about modeling God-glorifying relationships. After all, He is the Author of Love and the Creator of marriage! How has this teaching impacted your view on the purpose and plan of male and female and God's creation of marital union?